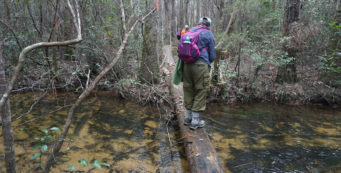 Dorothy B. Oven Park | Florida Hikes! 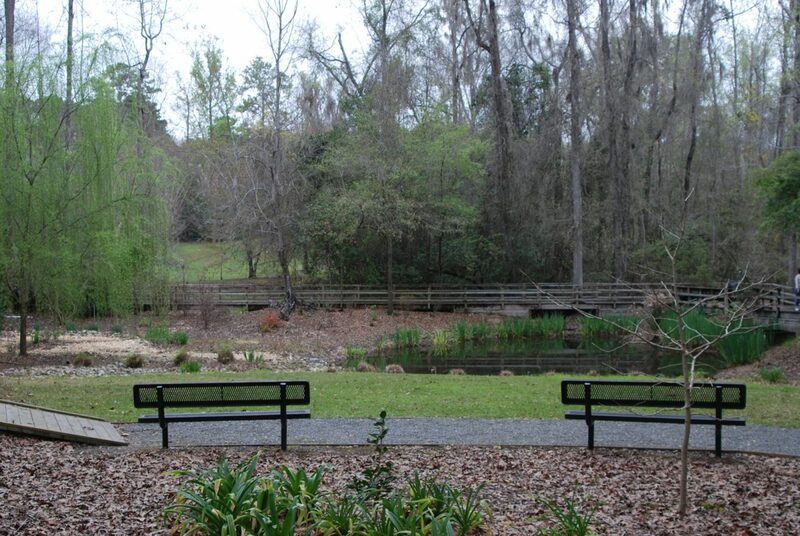 Only seven acres in size, Dorothy B. Oven Park is a Tallahassee city park beloved by locals but little known outside the city. Walking beneath ancient live oaks, we spotted the bright blossoms from quite a distance. 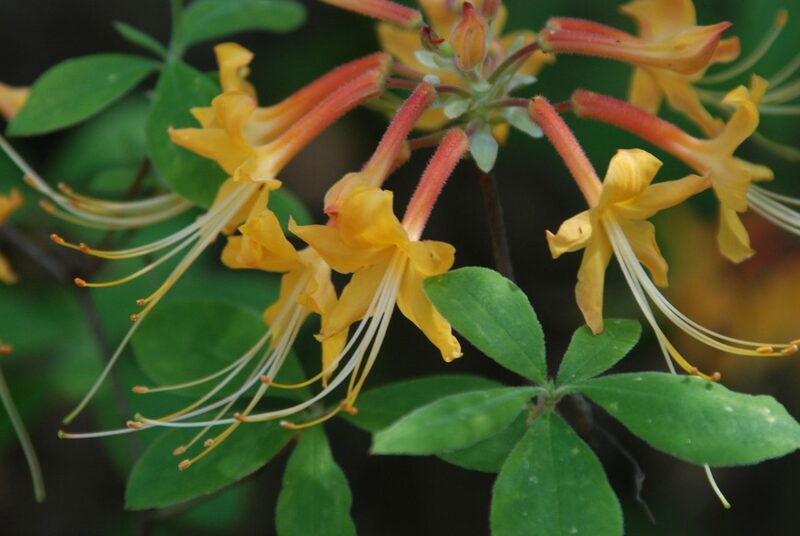 “I bet those are flame azaleas!” One of the showiest of native azaleas in the Southeast, Florida flame azalea stands out in spring with its brilliant flash of golden orange against the light green of new growth in the forest. 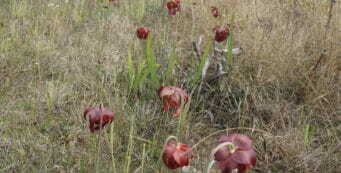 Normally, you’d need to hike up into rugged wild spaces in the region to see them in bloom. Yet right along the walkway, several of these beauties lined the path to the Camellia Garden, all at peak bloom for the season. During December, a Christmas light display illuminates the dormant gardens and the manor home, providing a beautiful walk after dark. 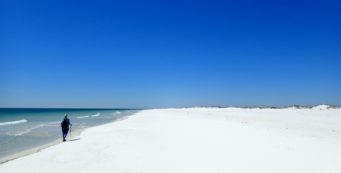 From Interstate 10, follow Thomasville Road south. The park entrance is on the left at 3205 Thomasville Rd, Tallahassee. Once part of the 1824 land grant of the Marquis de Lafayette – just like Goodwood to its east – it passed into the hands of Breckenridge Gamble (1874 – 1955). 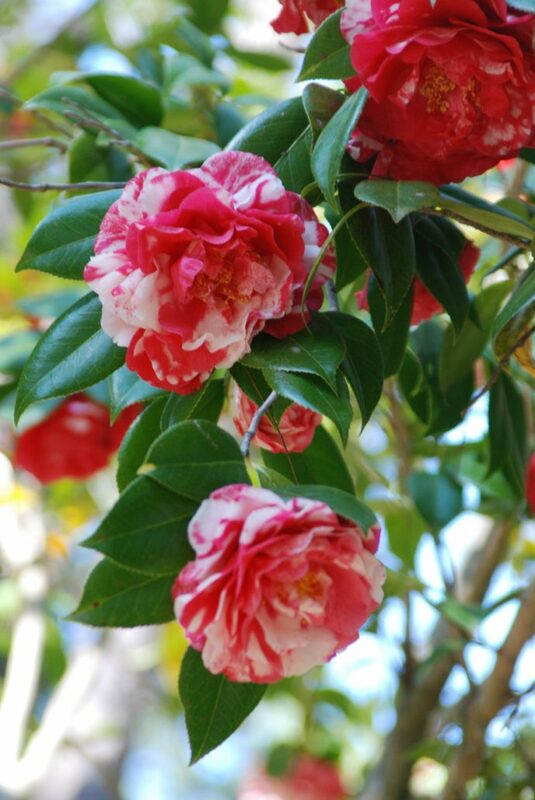 Gamble’s passion was camellias. 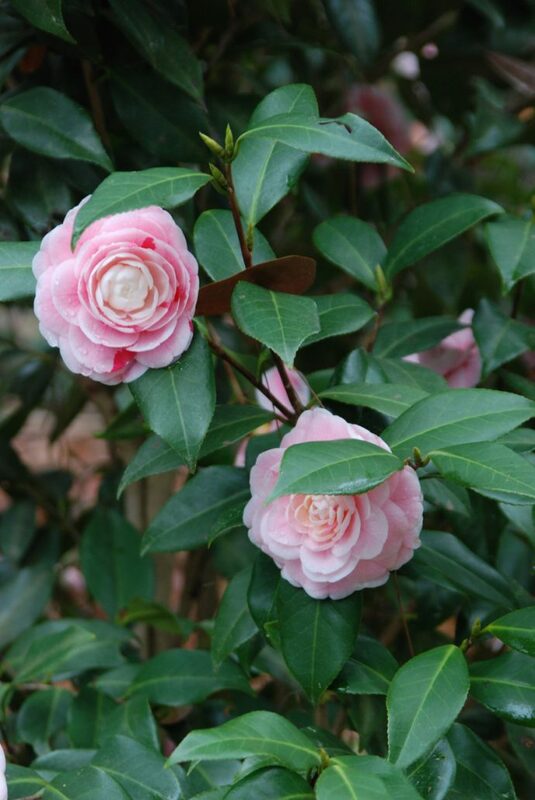 In 1829, his great-grandfather Colonel Robert Gamble, brought a camellia japonica to Florida from a Japanese trading vessel. 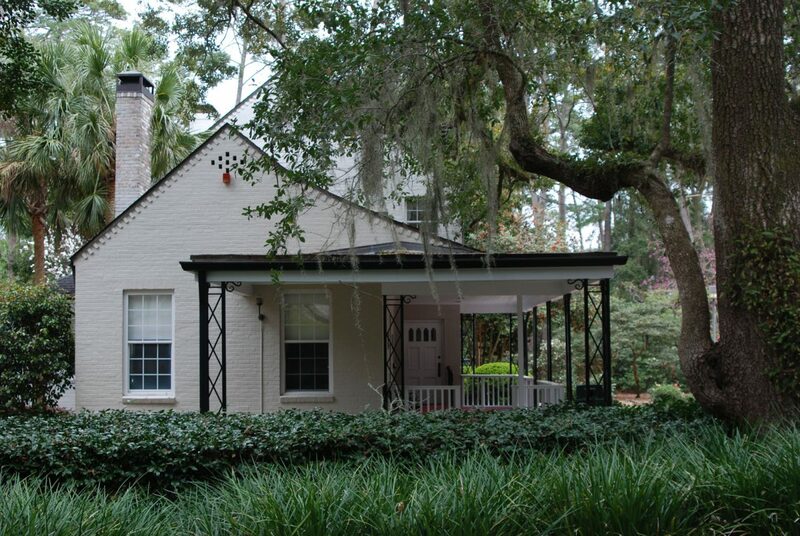 In 1919, the camellia was moved from the Colonel’s home to Killearn Plantation, Alfred Maclay’s newly acquired home to the north of the city. 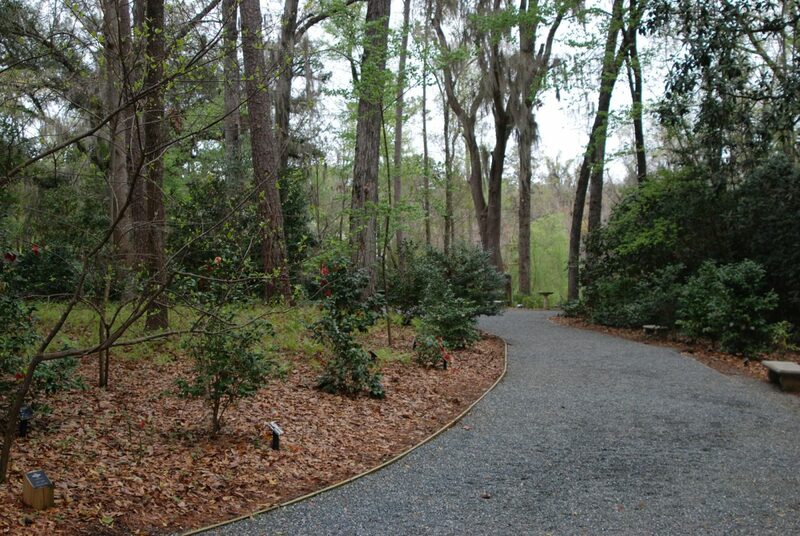 Founding the Camellia Nursery of Tallahassee on this site, Breckenridge Gamble, one of Florida’s earliest camellia growers, was said to “know the location of every camellia in Tallahassee,” according to the American Camellia Society. His two adopted sons helped him with the business. Becoming good friends with Maclay, he worked his connections throughout the South to feed Maclay’s desire to fill Killearn (now Alfred Maclay Gardens State Park) full of camellias. One of the first things you notice when entering the gardens is the manor home, which looks suspiciously like the Maclay’s residence at Killearn. Alfred Maclay designed the home for Breckenridge Gamble, and the homestead replaced the nursery in 1936. Open for rental for special events and by request for viewing, the home is as it once was, complete with antique furnishings and original artwork. The floors are a soft poplar, the paneling magnolia, neither common building materials for their time. The manor sits atop a hill shaded by grand live oaks, with the gardens flowing downhill in every direction. Manor home at Dorothy B. Oven Park. It is available for special events and weddings. Named for Gamble’s son Bill Rosa’s widow Dorothy – and donated to the City of Tallahassee by her second husband, William J. Oven, after her death – the park contains a concentric Camellia Garden developed by the Camellia and Garden Club of Tallahassee, with aged brick forming circular paths that echo the shape of the fountain in the garden’s center. The spiral of spring blooms along the walkways invite close inspection, as they include many different colorful cultivars and hybrids. Near the home, a wooden water tower is almost hidden by the height of the loblolly pines that surround it. Downslope from the front of the manor house, the lawns are accented with plantings of azaleas, including native Florida flame azalea (Rhododendron austrinum) and Florida pinxter or Piedmont azalea (Rhododendron canescens), a woodland species with fragrant pale pink blossoms. The effect is that of a woodland, unkempt but well-tended beneath the native canopy of oaks and pines. 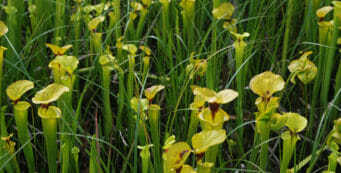 To the southwest of the manor, on the far side of the park entrance road, younger garden beds with seasonal flowers adjoin around a man-made series of cascades beneath the tall pines. Papyrus grows in the perpetual damp; benches provide a place for relaxation. Behind the manor home, bamboo clusters create shaded niches. 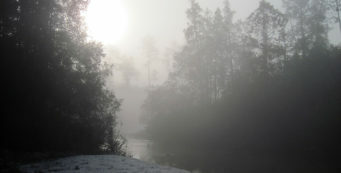 The hillside slopes down to a large pond, a stopover point for Canadian geese and a frequent sunning spot for turtles. 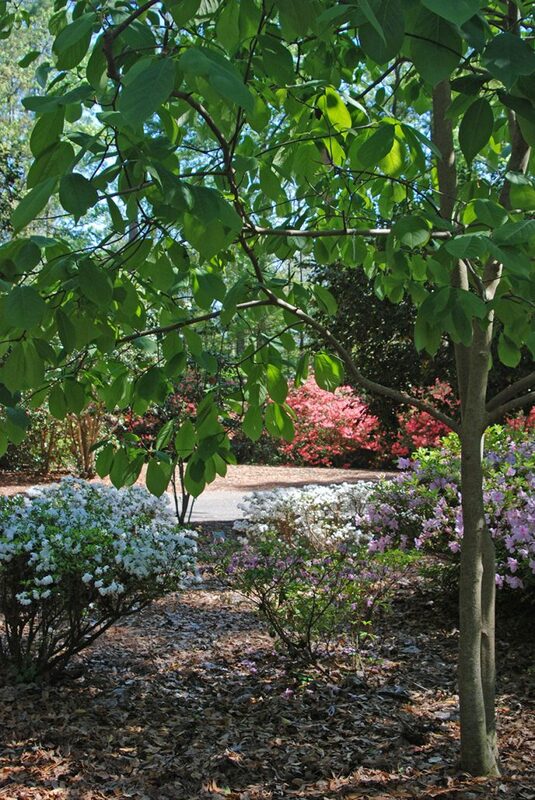 Wandering along the gently winding paths offers a walk in the woods, as the gardens weave through a forest that stands only ten minutes from the seat of power at the state capitol building downtown. We’ve stopped here many times, sometimes to slip away from a business meeting for a quiet lunch under the pines, sometimes to walk the pathways just to revel in spring blossoms. 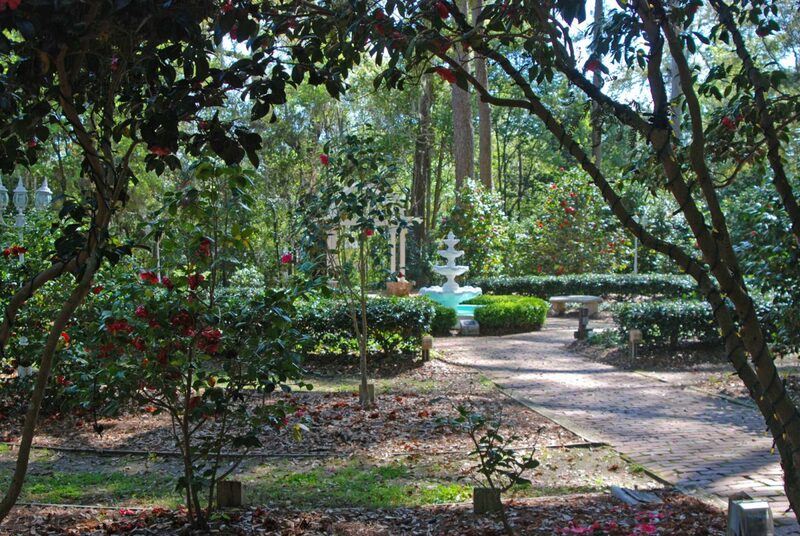 No doubt Breckenridge Gamble would be pleased with the outcome of his nursery, which opened as a public garden in 1985 after being bequeathed to the City of Tallahassee to become a park in perpetuity. Just south along Thomasville Rd is Tallahassee Nurseries, founded in 1938, soon after Gamble closed his nursery at this site.